If you’re in the manufacturing industry, 2013 was a good year. Some jobs that were once only found overseas have moved back to the United States, while U.S. based companies are increasing their production after a few years of decline. After so many years of declining demand, some companies may be hesitant to hire new talent. Learn why it’s vital to hire new talent and how manufacturing recruiters in Milwaukee can help fill these positions. Throughout the entire manufacturing industry, demand is up. A survey by the Institute of Supply Management found that most manufacturers expect to increase their staff by more than 2% this year and revenues are expected to rise nearly 5%. This demand means that manufacturers need a skilled labor force and a professional management staff. Experienced manufacturers were hard to find before the demand increased, but the increased demand means that it can be incredibly difficult to fill these jobs with qualified candidates. It’s thought that the most in-demand careers in the manufacturing world are industrial engineers, followed by production workers, first line supervisors, marketing managers, application software developers and sales professionals. This incredible demand for manufacturing professionals can make it difficult for companies to connect with the best talent in the industry. Companies are all competing with each other and many candidates know that they have the upper hand when it comes to negotiating their salary and benefits package. A job just isn’t enough — companies have to stand out — especially if the employee is happy in his or her current position and isn’t planning to make a move. Manufacturing recruiters in Milwaukee work tirelessly to create an existing talent pool of qualified candidates. This way, you’ll have instant access to a group of pre-screened applicants. Manufacturing recruiters in Milwaukee understand that the best candidates are heavily recruited and will be able to connect with them before anyone else, giving your company a distinct advantage during the hiring process. To conduct a successful job search, you need to work with the best manufacturing recruiters in Milwaukee. Having someone on your side isn’t enough — you need the best. Look for a company that’s proven in your field so that they have the technical knowledge to effectively weed out candidates who aren’t qualified. Ask what they do to attract candidates and if they guarantee their results. When your manufacturing recruiters in Milwaukee offer a guarantee that the candidate will work out, you can be confident that they will work diligently to ensure you’re happy with the results. If you’re at a company with manufacturing jobs to fill, call The Lawler Group, manufacturing recruiters in Milwaukee. 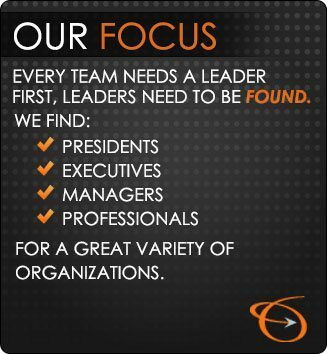 We have the experience necessary to find the perfect talent to fit your needs and we guarantee our results. We can be reached online by clicking here or by calling (262) 241-1600.